As an independent consultancy, we help businesses and institutions to access the government grants and incentives they're entitled to.  © 2019 MCS Corporate Strategies Ltd.
Read our latest news articles from the team at MCS Corporate. As an independent consultancy, we help businesses and institutions to access the government grants and incentives they’re entitled to.